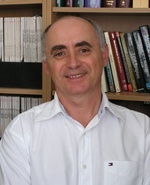 Professor Carbone has made a number of critical discoveries on the nature of immunity, specifically defining the function and behaviour of key cells involved in the response against infection. He has identified mechanisms by which the immune system identifies pathogens and the means by which effective immunity is generated to control these agents. He has developed a versatile range of biological tools for the study of immune components that have proven indispensable to the field. Overall, he has made significant practical and conceptual contributions to the advancement of our understanding of the immune response in health and disease.